Anamorphic Project - First Tests of the final SLR Magic Anamorphot 1.33x - 50, Updated! Start Gear & Galleries 2D Cameras & Lenses Anamorphic Project - First Tests of the final SLR Magic Anamorphot 1.33x - 50, Updated! This wide screen (21:9) sample video was recorded in Full HD (1920x1080p) using the Sony A7R with Zeiss FE 2.8/35 and Zeiss FE 1.8/55 combined with the new SLR Magic Anamorphot 1.33x - 50 anamorphic ancillary lens. Subsequent horizontal stretching in postprocessing was applied in order to save more information from the original sensor resolution than simple letterboxing. Sorry for the sometimes a bit jittery pan shots but on that beautyful day I did not have a fluid tripod head available at my fingertips. There may be some additional jitter due to the uncommon video format that forces many decoders to switch from hardware to software decoding. Further test videos will focus more on creating flare and bokeh effects. 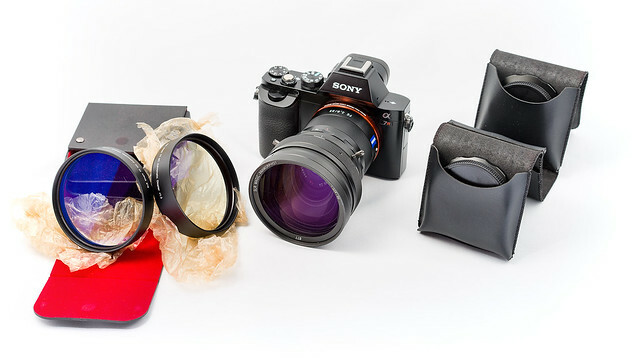 Here you see the diopter set and the Anamorphot used for the video attached to a Sony A7R with Zeiss FE 2.8/35mm lens and some additional step up adapter rings. The Anamorphot has a large (50mm) rear element to allow shooting with lenses with quite large front lens elements and allows to adjust the sweet spot with an integrated variable diopter. The manufacturer recommends to use it at f/2.8 or smaller apertures (larger F-stop numbers like F4.0, F5.6 etc.) but in my tests the results with the Zeiss FE 1.8/55 were also quite good at open aperture (f/1.8). 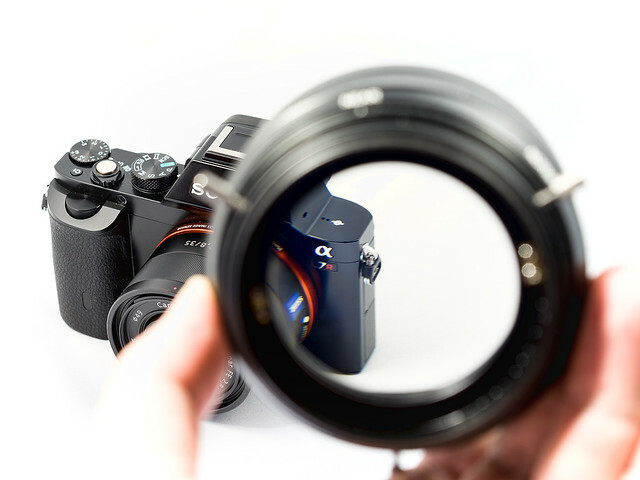 Depending on the lens characteristics and shooting distance it may help to use an additional diopter or even stack two of them. The Anamorphot suports a more filmic look not only by the "squeeze trick", it also offers unique effects like horizontal flares and ellipsoidal bokeh. 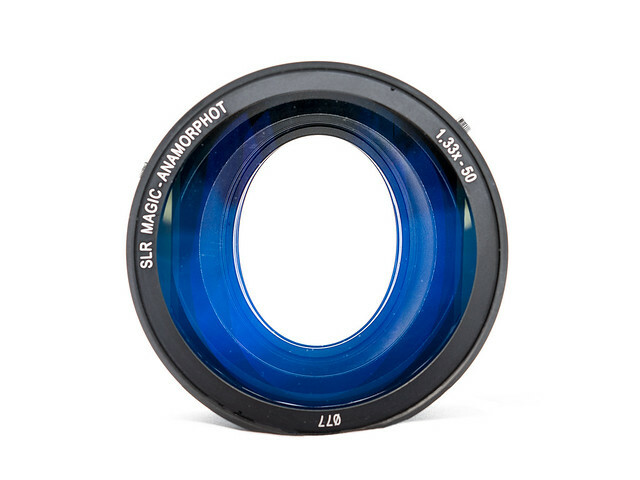 The SLR Magic Anamorphot 1.33x 50 will become available in Q2 2014 for a recommended retail price of US$ 899. It has a front filter thread of 77mm and a native rear thread of 62mm, adapter rings for 58, 52 and 49mm are provided as well. The additional (and recommended) diopter set (1.3 and 0.3 diopters with 77mm thread) for US$ 299 allows further adjustments of the optical system for near focus situations and will vary the anamorphic flare effects as well. The flares in the title strip were produced with direct LED light and stacked anamorphic diopter lenses (1.3 + 0.3 diopter). For further questions regarding availability and purchasing options, please contact SLR Magic through the contact options given on their website slrmagic.com and slrmagic.co.uk. Find further example videos in Part 2 on this site.